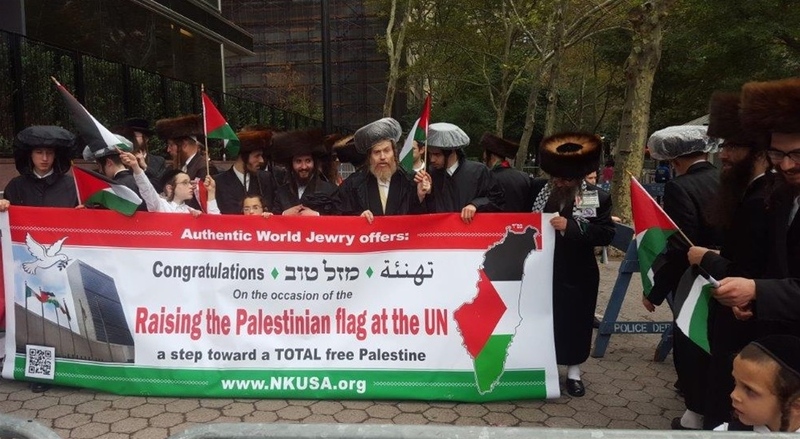 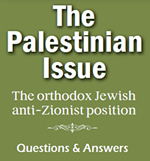 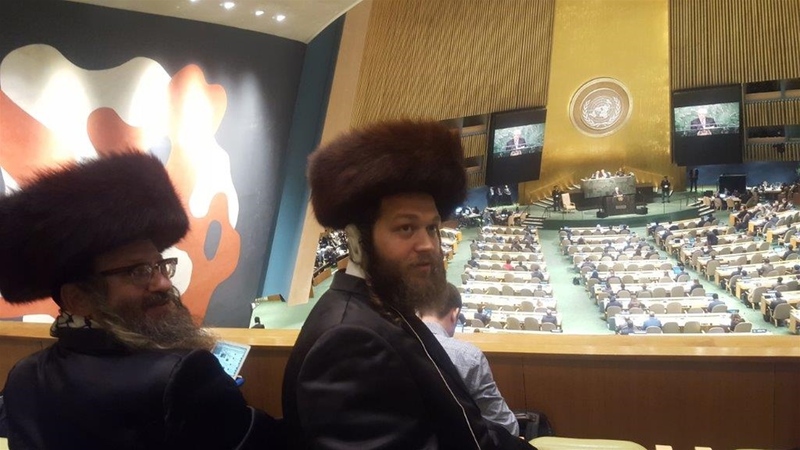 On September 30, 2015 a crowd of Orthodox Jewish Rabbis staged a rally outside of the United Nation headquarters, to show their support to the ceremony for raising the Palestinian flag for the first time at the United Nations. 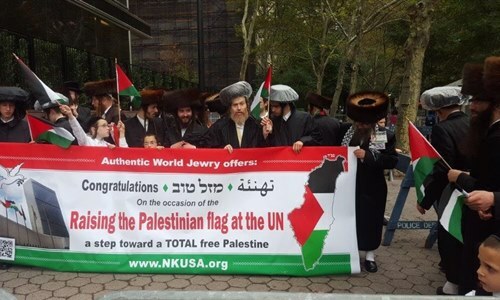 The Palestinian flag was raised at the United Nations headquarters for the first time on Wednesday. 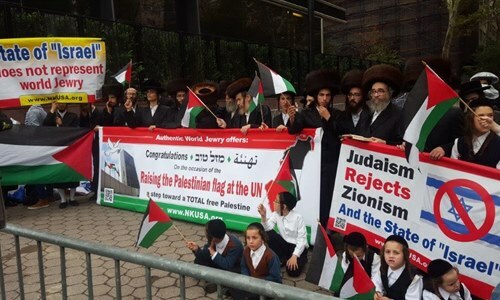 The event came after the UN voted on September 10 to allow non-member observer states to raise their flags alongside those of the 193 member states. 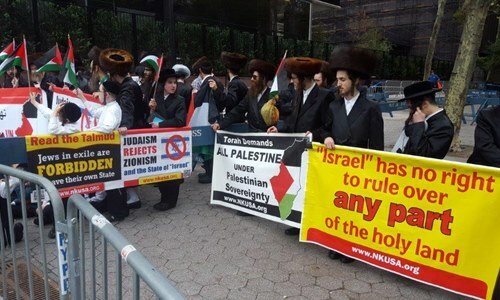 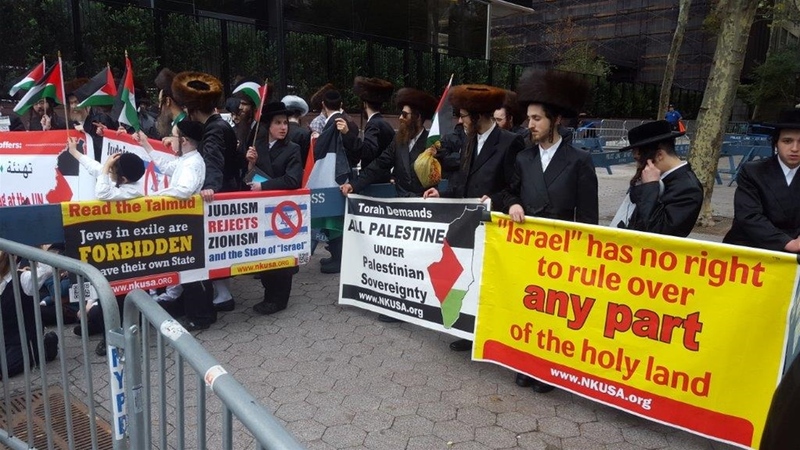 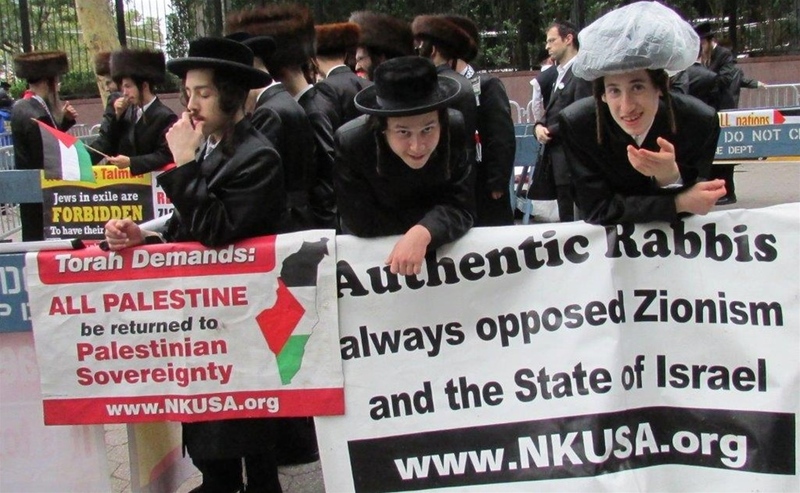 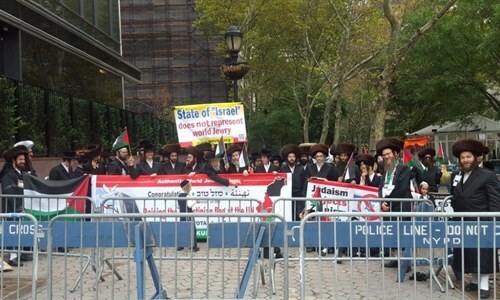 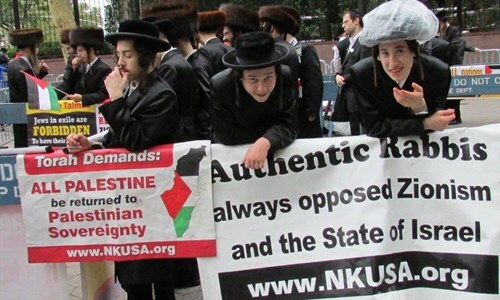 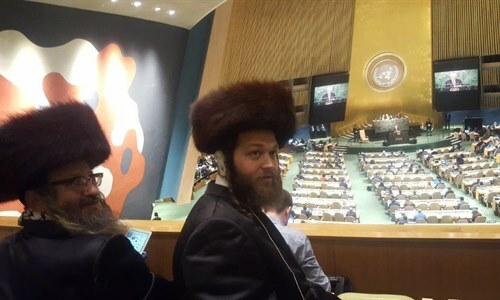 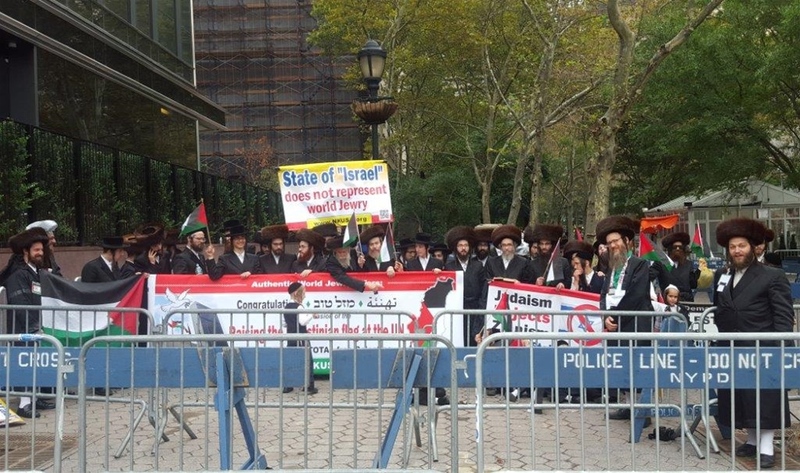 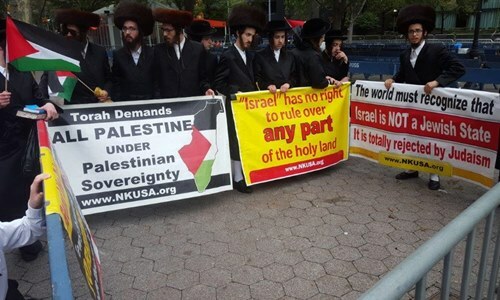 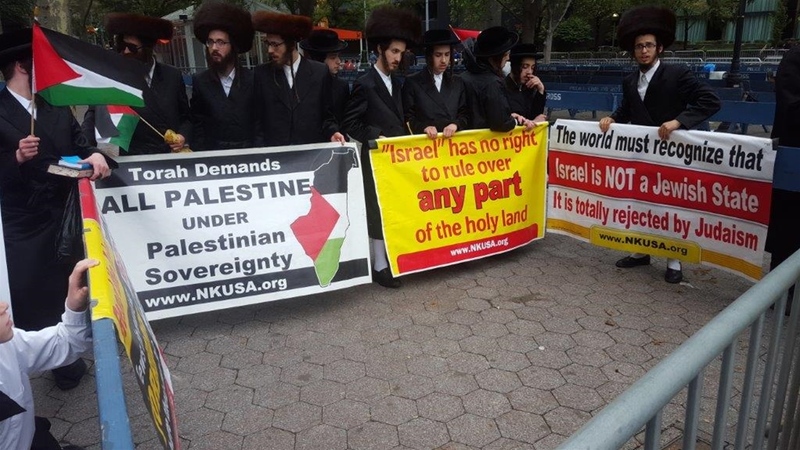 Anti-Zionist Orthodox Jews participated in a pro-Palestine demonstration in front of the United Nations headquarters in New York City, Wednesday. 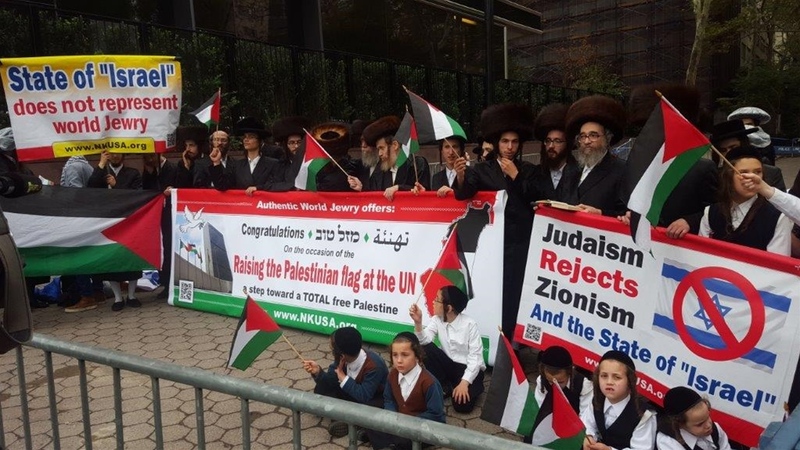 Protesters waved Palestinian flags and displayed banners which condemned Israel.